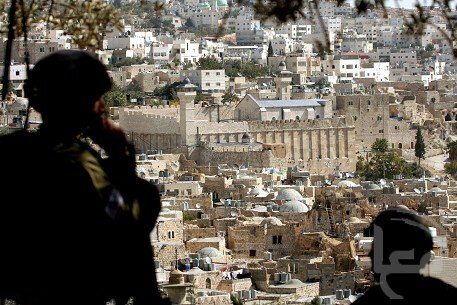 HEBRON — The infrastructure for four illegal outposts is being constructed around the West Bank city of Hebron, a settlement affairs expert said Thursday. In an interview with Ma’an Radio, Abed Al-Hadi Hantash said the outposts would be integrated to form a new settlement, which would be linked with Kiryat Arba, the largest settlement in the district. Combined, the settlements would constitute a third of the city of Hebron, which is already surrounded by illegal settlements, Hantash said. The new project would confiscate a further 15 square kilometers of Palestinian land from Hebron’s borders, he said, and is being funded by a Jewish society which supports settlement activity in the West Bank city. The construction of a new school and kindergarten began earlier this week in illegal outposts in Hebron. Further, a road leading from Kiryat Arba to the Ibrahimi Mosque, which would cut through Jaber neighborhood in the Old City, was also approved. The road’s construction would put Palestinians at risk of eviction, Hantash said. Hantash said he was astonished at the Palestinian handling of the settlement issue, which focused on individual violations and failed to pay attention to the slow and systematic process by which settlements are taking over control of the heart of Hebron. Female-headed households fared especially badly: more than one in three lived in poverty in 2009. More than 17 percent (17.3 percent) of these female-headed households lived in extreme poverty – earning less than 50 percent of the federal poverty level. Venezuela has called for wholesale reform of the United Nations, suspending veto rights of the five permanent Security Council members, enlarging the 15-member body, strengthening the General Assembly and opening up the election of Secretary-General. “The Bolivarian [Venezuelan] Revolution plans to contribute to the rebuilding of the structure and agenda of the United Nations, which reflects the existing and unjust power relationships in the world,” Permanent Representative Jorge Valero told the Assembly. “This forum ” as it is today “helps to reproduce those unjust relations inherited from the Second World War, becoming more exclusive and authoritarian as neo-liberal globalization advances. A strategy to weaken the Assembly and exclude it from the most relevant world decisions, is being implemented while the Security Council progressively increases its power and influence on the UN agenda, and takes over subjects beyond the purview conferred to it by the UN Charter, he said. Valero also called for all States to propose candidates for the UN Secretariat to democratize the election. “In line with democratic principles and transparency, Member States must participate in both the nomination and in the appointment of this senior official. Thus, States would be free to choose among several alternatives,” he said. On Tuesday evening, Israeli border police and special Yasma forces rampaged through the East Jerusalem city of Silwan. Their presence on the ground was due to unrest that has been engulfing the city since last week’s murder of a 35 year old Palestinian at the hands of a private settler security guard. Recently, I was on the ground and witnessed soldiers urinating and defecating on the roofs of private Palestinian homes, throwing bottles (water and beer) on to Palestinians pedestrians on the street and breaking windows left and right.